The All Around Nutrient for All Around Health ! In 1957, Dr. Frederick Crane of Wisconsin isolated an orange substance from the mitochondria of beef heart. In 1958, Dr. Karl Folkers, the Father of Co-Q10 Research, and his co-workers were able to determine the exact chemical structure and synthesize Co-Q10 in a laboratory. Japanese scientists perfected the industrial technology to produce sufficient Co-Q10 for distribution in 1974. Since 1976, we can found that about 600 laboratory papers were presented by over 360 scientists from 28 countries. These scientists’ paper identify Co-Q10 is a good supplementation in a wide range of health and medical conditions. Co-Q10’s chemical structure is 2,3 dimethoxy-5 methyl-6 decaprenyl benzoquinone. It is also known as ubiquinone. The name was formed from the word ubiquitous and quinine, because Coenzyme Q is found in virtually every cell in the body. Co-Q10 has a molecular structure as similar as to Vitamin K, and it can be considered a relative of Vitamin E. It is not only from human. According to the research, It is also found in animals and plants. In plants it is known as plataquinone. Animal and humans have a variety of molecular formulations ranging from Co-Q6 to Co-Q10. Co-Q6 to Co-Q10 are found in animals, while Co-Q10 is found in humans only. And the Co-Q10 is the form utilized by our body for energy. Co-Q10 transports electrons involved in energy metabolism within the mitochondria inside each of our cells. Co-Q10 is the key to the process that produces 95% of cellular energy. The foods we eat and store in ready access within the body provide the basic raw material to change into ATP with the help of Co-Q10. Co-Q10 is a very powerful antioxidant against free radicals, which cause or contribute to many various degenerative disease. It is just as important as Vitamins E and C. Co-Q10 is a powerful antioxidant from which the entire body and entire array of body systems can be benefit. 1.The cardiovascular system and the heart itself. 2.The circulatory system – preventing free radical damage throughout the entire body. 3.The immune system – improving the body’s ability to cope with free radicals. 4.The metabolic system – aiding with energy production and also assisting with weight control. Allergies, Alzheimer’s disease, Arthritis, Asthma, Cancer, Cataracts, Cardiovascular disease, Diabetes, Gingivitis, Hemorrhoids, HIV, Huntington’s disease, Impaired immune function, Kidney disease, Liver disease, Lupus, Neuropathy, Macular degeneration, Parkinson’s disease, Psoriasts, Premature aging, Senile dementia, Varicose veins, Vascular weakness, Wrinkles, etc. The skin possesses an elaborate antioxidant defense system to deal with UV-induced oxidative stress. However, excessive exposure to UV can overwhelm its antioxidant capacity, leading to free radical damage and ultimately to skin cancer, and premature skin aging, wrinkles, brown spots, etc. And in some German and Japan researches demonstrate that Co-Q10 is potentially suitable for use in cosmetic in terms of safety and stablility. 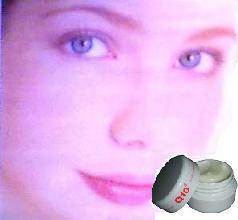 Besides, it has the efficacy to prevent many of the detrimental effects of photoaging. Congestive heart failure ( CHF ) is a condition involving a weak or energy-starved heart. Cells require oxygen to produce energy. 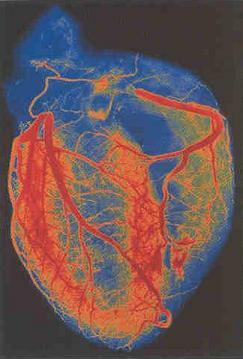 Our heart is made of muscle tissue. This muscle weakens with time, aging, poor diet, heart attacks, stress, viral infections, smoking, and alcohol abuse. Dr. Folkers’ research has shown that seventy percent ( 70 % )of heart patients with ( CHF ) was benefited from taking Co-Q10. Individuals with ischemic heart disease suffer from reduced blood supply to the myocardium, thevascularized muscle layer of the heart wall. With Co-Q10 supplementation, angina patients have been able to increase their endurance in treadmill tests without discomfort. A Japanese researcher, Dr. Yamagami discovered that patients with high blood pressure have blood levels of Co-Q10 significantly lower than controls with normal blood pressure. Co-Q10 supplementation seems to help correct a metabolic abnormality thus having a favorable influence on blood pressure. In the United States indicate that Co-Q10 may be effective in treating certain patients with ischemic heart disease, toxin-induced cardiotoxicity, and other cardiovascular-related problems. The studies have also shown that it seems to reduce LDL ( the so-called “ bad cholesterol” ) and increase HDL ( the so-called “ good “ cholesterol ). The immune system needs to be strong in order to fight off illness of any kind whether it be the common cold or a malignant tumor.To either prevent or treat health problems, the immune system needs a strong supply of energy from Co-Q10 and ATP. As we grow older, the immune system slows down, which is one of the main reasons we become more susceptible to health problem. We become more susceptible to infection and degenerative disease as well. One of the major contributors to cancer development is oxidative stress and the damage it can cause. Free radicals not only weaken our immune system, they can directly damage the genetic material of our cells leading to mutations and tumor growth. Because of its immune enhancing and antioxidant effects. CoQ10 has been successfully used in treating cancer. Co-Q10 also helps prevent / repair Organ Damage from Chemotherapy. Researchs in the Department of Neurosciences, University of California, San Diego, reported that oral Co-Q10 supplementation was beneficial in individuals with Parkinson’s disease. And the study conducted at Massachusetts General Hospital, found that oral administration of Co-Q10 significantly reduced increased concentrations of lactate in the occipital cortex of Huntington’s disease patients. This against suggest that Co-Q10 might be useful in treating neurodegenerative disease. Because of the significant role Co-Q10 plays in the mitochondria, many mitochondrial diseases may benefit from Co-Q10 supplementation. Alpers Disease, Hypertrophic Cardiomyopathy, Leigh’s Disease, Luft Disease, Mitochondrial Cytopathy, Mitochondrial Myopathy, NADH Deficiency, Neuropathy, Person Syndrome …. And other conditions involving mitochondrial failure: such as, Alzheimer’s Disease, Diabetes, Ischemic Heart Disease, Lou Gehrig’s Disease ( ALS ), Parkinson’s Disease and Muscular Dystrophy. Because Co-Q10 exists in all of the cells, tissues and systems in our bodies, numerous effects can result from deficiencies and from restoring healthy levels. Co-Q10 benefits individuals with Below Normal motility and Fertilizastion rates. Remember, Co-Q10 is ubiquitous – it occurs everywhere in the human body, not just the heart. Because of this, it has the potential to benefit us anywhere in the body and with a wide variety of health problems. 2.Slowing down the aging process in the body. 3.Significant help for patients with heart disease. 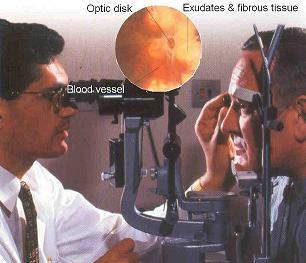 4.Reduction of mild to moderate hypertension. 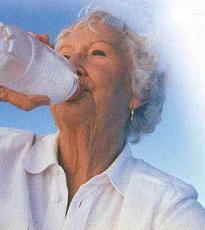 5.More energy, strength, and vitality, even for older people. 6.Fortification of the immune system against illness, including cancer. 7.Counteracting the adverse effects of cholesterol lowing drugs. 8.Improvement of nervous system and brain disorders. 9.Protection against gum disease, a condition affecting most adults. These are all major considerations for individuals interested in optimum health and optimum lifespan. As you read on and use on, you will learn how Co-Q10 contributes to both. 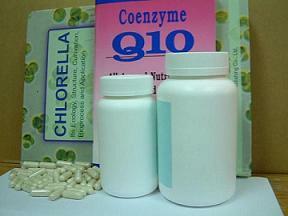 Now, we produce Co-Q10-CGF Capsule, Co-Q10-Chlorella tablet and Co-Q10-Chlorella Cream for the market. If you are interesting in this nice business, please feel free to contact us. If you have any question or need any assistance, please feel free to click for further service.